This is a sad sight to see, but it’s not exactly uncommon in this league now. 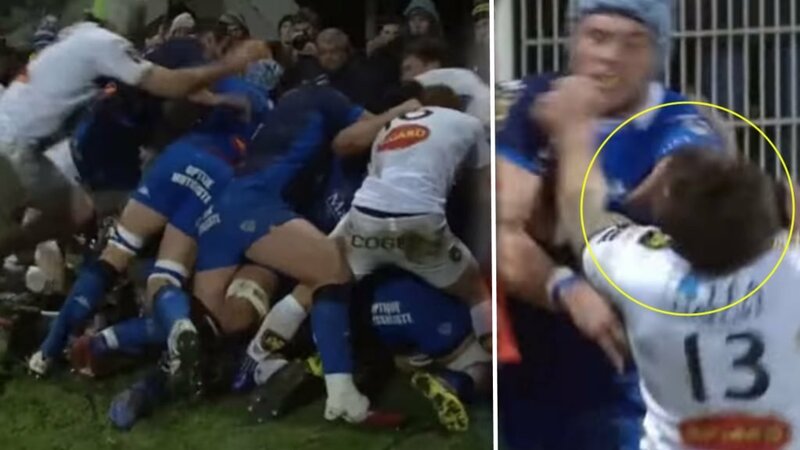 Another punching incident leads to sin bins and fighting in the French league. The match was between La Rochelle and Castres.